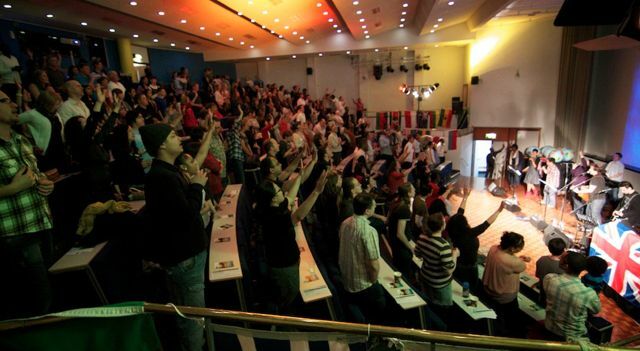 It’s SUPER SUNDAY at Every Nation London this weekend, with special guest speaker J John! Firstly, because all three of our congregations will be joining together for ONE SUPER TOGETHER SERVICE. God ordained that there would be power in our agreement and unity, and we are expecting this service to have a huge impact on every individual as well as on each of the our congregations. Please join us and lets move forward together as one church across the city. Secondly, it is going to be very special because we are privileged to have J JOHN AS OUR GUEST SPEAKER. This is a unique opportunity to receive ministry and equipping from a man who is regarded as one of the most creative Christian speakers. His much-loved art of storytelling helps people to discover spiritual meaning in a way that makes sense of everyday life. He has authored numerous books, and spoken in 69 nations on 6 continents! We really believe that this ministry will impact and enrich your life in a profound way. And thirdly, it’s going to be special because there will be a FREE LUNCH FOR ALL! Yes, we’ll have a light sandwich etc lunch for all so do make plans to stay and connect after the service. There are also 2 special mixers all students and youth to connect.